As much as sugar gets a bad rep, it’s actually an essential part of our daily nutrient intake and our body requires a certain amount of it in order to function and not feel faint. Sugar is the main culprit in making desserts unhealthy (same goes with desserts that are fatty or extremely indulgent). However, that shouldn’t make you remove it completely from your diet. After all, what’s life without desserts? 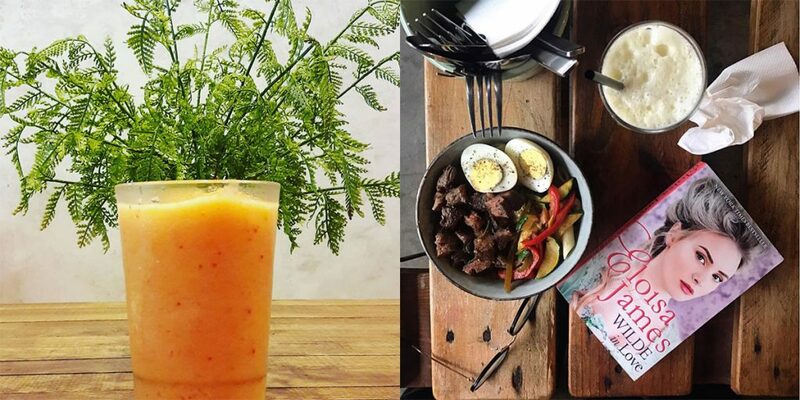 Here at DiscoverKL, we have are all guilty of having a sweet tooth, so this list was compiled for when we want healthier-for-you treats that to enjoy without feeling guilty AF (some even come with added health benefits)! 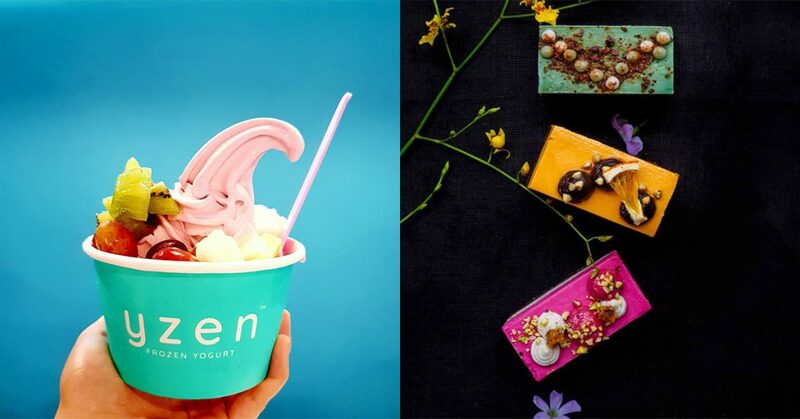 yzen Frozen Yogurt is a delicious and healthy substitute to the barrage of soft serves and gourmet ice cream parlours. This premium guilt-free dessert contains one of the highest counts of probiotics in a single serving (2.9 billion per 1g) and is naturally sweetened with purple sweet potatoes! “Dessert is always perceived as something that gives happiness. But it is also something that gives unnecessary additional calories. 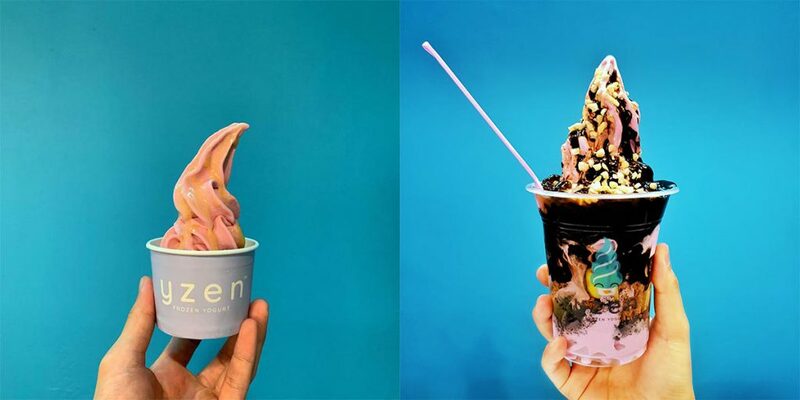 Most of the desserts out there are either high in fat, high in sugar, or both, and it is unhealthy to be consumed every day,” said Raymond Chan, founder of yzen Frozen Yogurt. Besides being low in fat and sugar, it also only has 101kcal/100g making it one of the froyos with the lowest calories in the market. Priced at RM5.90 for their yzen mini cup, you’ll be able to fulfil your daily recommended probiotics consumption at an affordable price! Sweet Treats: Add on their Belgian dark chocolate sauce and nutty toppings if you’re feeling a little naughty. Hours: Timing varies based on location, click here for the full listings. Soymilk has been catching waves recently among the lactose intolerant and those on the plant-based diet. But before you shrug it off as “just another health fad”, soya beans contain just as much protein as full-cream milk with only half the calories. The dáo nai hak is Dáo’s very own version of the black bean soy milk (priced between RM6.60-RM15, depending on size). Traditionally, black bean soy milk is greyish in colour but the beans at dao are stripped bare, revealing their inner green flesh. The removal of the skin reduces the purine levels of the beans thus allowing people with high uric acid levels or gout to also be able to enjoy this nutritious cup of goodness. Plus, it also gives a smoother, thicker and richer taste to the soy bean milk. 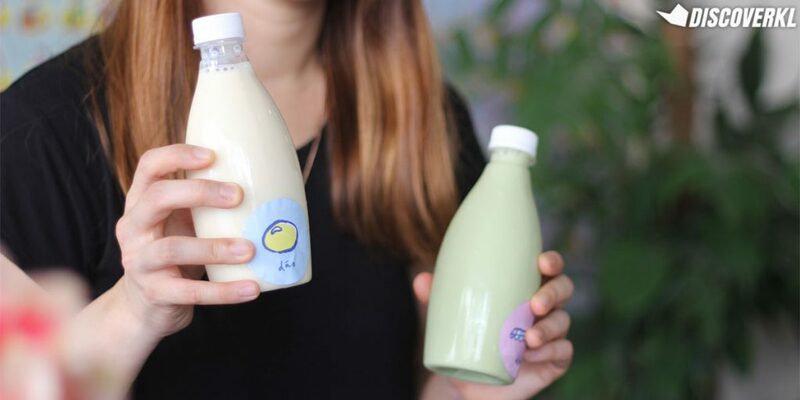 But if you’re worried your brain would be bamboozled with thinking it’s some matcha based drink, there’s also the equally as nutritious white soy bean milk (priced between RM4.60-RM10). Sweet Treats: Run by 3 siblings, the aesthetics of this place is reflective of the good ol’ childhood days, what with the walls being lined with Happy Family cards. 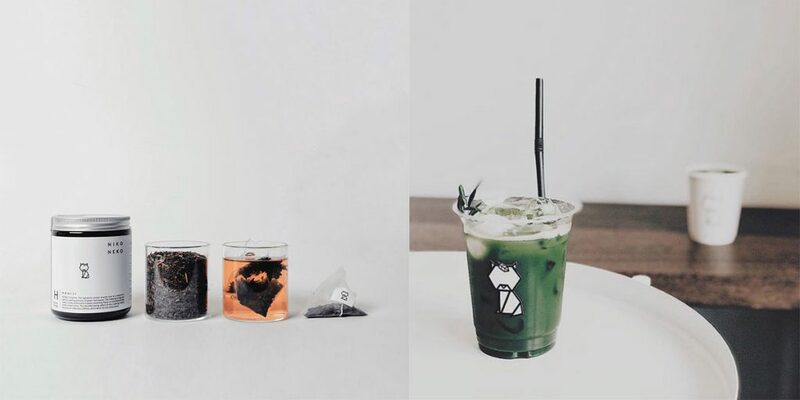 Niko Neko Matcha is the place for you to ajak your macha and zen out with healthy treats and teas! Matcha is packed with antioxidants and has cholesterol and blood sugar-lowering properties while boosting metabolism, burning calories and lowering the risk of diseases at the same time. While some might find the taste of matcha a little bit too much to handle, Niko Neko Matcha also has other types of teas such as Houjicha and Genmaicha with great health benefits too! Sweet Treats: They’ve got an adorable cat with heterochromia iridis called Niku and a very aesthetically-pleasing space as reflected in their Instagram feed. Acai bowls are essentially smoothie bowls that contain acai berries as one of their key ingredients. Acai is packed with heart-healthy fats and is a good source of fibre and antioxidants. 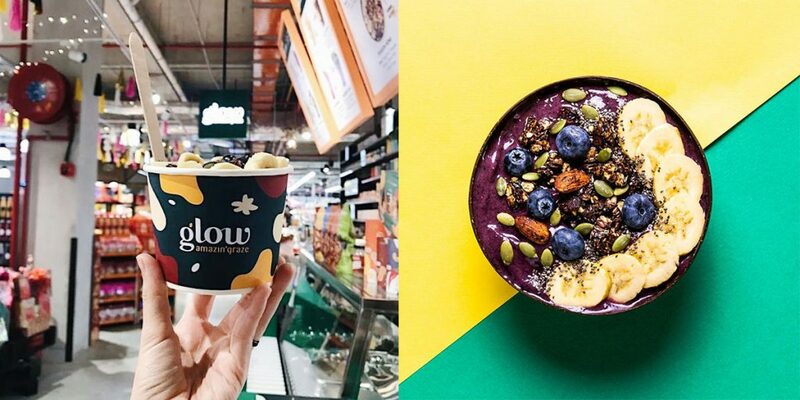 At Glow Smoothie Bar, their Purple Glow (RM18.90) smoothie blow has acai, blueberry, lemon, banana, almond milk and coconut as its base. It’s then topped with even more healthy and filling ingredients like hazelnut blackforest granola, blueberry, banana, pepita and chia seeds. You can also enjoy this to-go in their fun bowls! Sweet Treats: They’ve got colourful and vibrant smoothies drinks, yogurt and chia parfaits using real ingredients too! If you’re needing a quick slurp of health without added granolas or extra toppings, Pickle and Fig at TTDI has you sorted. We heard their non-dairy Power Punch smoothie (RM11) made with strawberry, mango and pineapple is refreshing! While you could eat these fruits in their solid forms, fruits and vegetables in liquid form actually allows our body to break down and absorb the nutrients faster. Plus, they’ve also got healthy fresh gourmet paninis, sandwiches and protein bowls if you’re looking for a healthy and filling meal. Maybe next time you’re feeling a craving for a sweet treat like iced teas or ice-creams, do your body a favour and grab a delicious smoothie with no added sugar here! If you love tongsui but they’re usually filled with sugar syrup, you might find Arrison Aiyu’s desserts a nice break from all that. 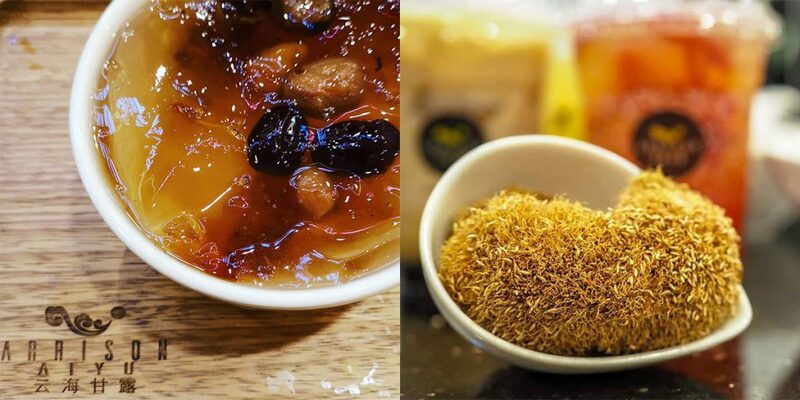 Aiyu jelly is essentially the extracted gelatinous substance from figs. They’re colourless, tasteless and chewy in consistency. In this dessert shop, their Aiyu is sourced 1,800m above sea level from Taiwan’s Mountain AliShan to ensure that they’re wild, natural and pesticide-free. The jelly is then handmade via methods that involve soaking, squeezing and massaging to extract the Aiyu jelly. Some benefits of Aiyu jelly include having multiple times more peptine than strawberry, lowers cholesterol and blood pressure, calms digestive issues and is also great for your skin complexion. 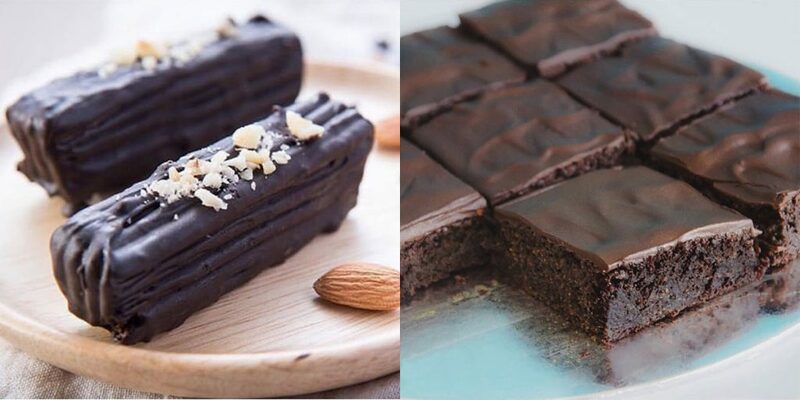 For a guilt-free treat, order their signature health series (RM12.80) that comes with minimal levels of sugar. Sweet Treats: Their Fruit Aiyu series is served with extra chunks of natural fruit if you’re looking for a boost of Vitamin C! Kind Kones takes pride in creating delicious meals and desserts that are free from dairy, refined sugar, soy and gluten. Every ingredient that goes into their dish is listed out in their menu—perfect for those with specific dietary needs. We know that sweet potatoes do a great job as fries, but little did we know, they’re really rich in antioxidants, packed with fibre, and the orange variety contains beta-carotene that aids healthy vision. Besides all of these nutritional goodness, sweet potato puree adds moisture to baked goods without the additional fat. Moist, decadent, low-fat, flourless sweet brownies served with a single scoop of guilt-free ice cream? We’d love a Brownie Sundae (RM23.9) please! Sweet Treats: Grab a peanut butter and caramel chocolate bar that contains peanut butter, tahini, rolled oats, cacao and coconut oil for an extra energy boost! The ‘raw food’ diet essentially involves eating whole foods and unrefined ingredients that are produced with minimal heat. It’s sometimes known as the Paleo diet, whole food diet or raw foodism. It’s believed that you’ll get to enjoy more nutrients this way. 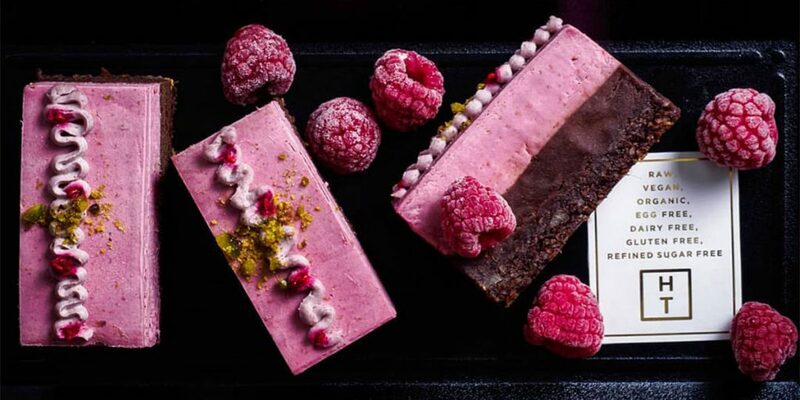 But if you’re worried about getting food poisoning from eating raw food, be assured that The Honest Treat’s cakes only use ingredients that are safe to consume without the need to cook them. Their handcrafted cakes are not baked and are free from dairy, gluten, refined sugar as well as eggs. With that said, they can last up to 2 weeks when stored in a freezer. Plus, they’re decorated with edibles such as nuts, fruits, berries and even flowers! For this guilt-free indulgence, you can order a box of six slices for the price of 5 (RM74.50) or a whole cake for RM109.90! Check out their locations here! Sweet Treats: Enjoy the “buy 3, free 1” cake deal every Wednesday, from opening time till 2pm.This offer is valid at La Juceria outlets in Sri Hartamas, Pavilion, 1 Utama and Mid Valley!